A small tixi deep box of circular form, supported on a short straight foot. 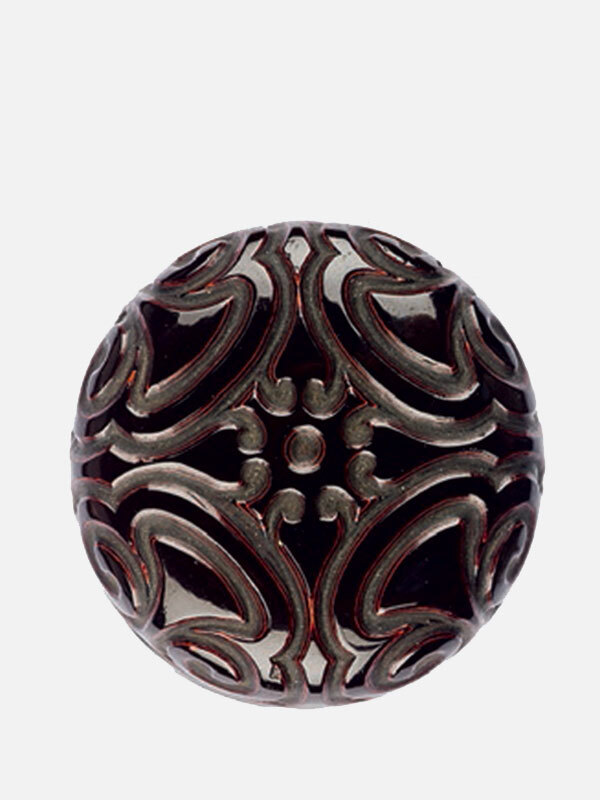 Both the domed cover and the straight sides are carved with four pommel scrolls. The box is covered in black lacquer, interspersed at regular intervals with thin layers of vermillion, with the grooves cut at an angle to make the red layers more visible. The interior and the base are plain and lacquered in black. Both the surface and interior are highly polished. With a Japanese wood box, which is inscribed with two characters on its cover and suggests the function of the lacquer box as a ‘perfume box’. This well-preserved and elegant lacquer miniature box is a fine example of Ming dynasty tixi lacquer carving. The decorative technique known in Japan as guri is known in Chinese as tixi, with the grooves resembling the texture of rhino horn: ti means to carve, xi means rhinoceros. Given its small size and the inscription on the outer wood box, it might have been used as a container of incense powder or small incense cakes. 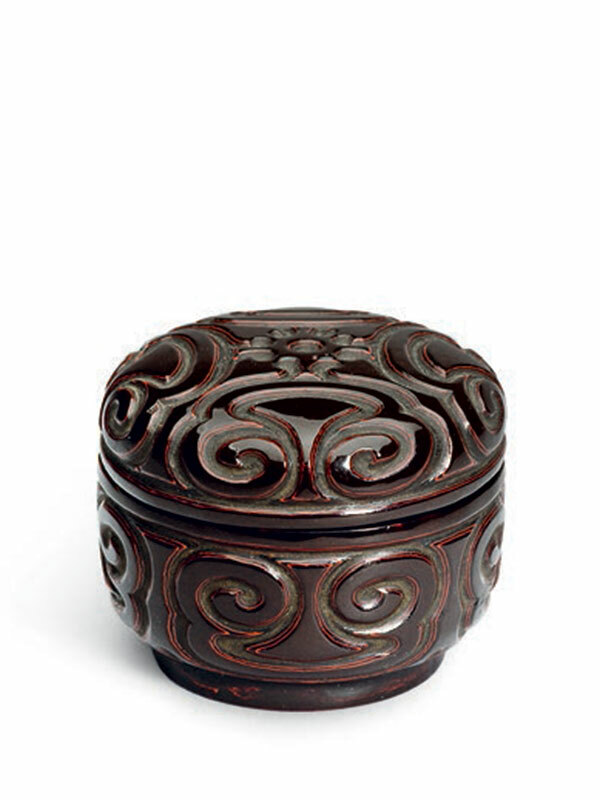 The most comparable small tixi lacquer circular box, similar in the style of pommel scrolls but larger in size and with sharper edges to the box, is dated to the Ming dynasty, 15th to 16th century, and is described as a ‘tea canister’. It is in the collection of the Tokugawa Art Museum. Another slightly larger tixi lacquer box of oval form, with deeper carving of the pommel scrolls and dated earlier to the Southern Song dynasty (1127 – 1279), is in the Muwen Tang collection.